Theresa May, the British prime minister, is being urged to help out in the ongoing search for the missing 22 crew from the sunken ore carrier Stellar Daisy . The ship – owned by South Korea’s Polaris Shipping – developed cracks in its hull in the South Atlantic and sank on March 31 with just two crewmembers rescued. The ensuing search and rescue operation has been one of the biggest in recent maritime history. 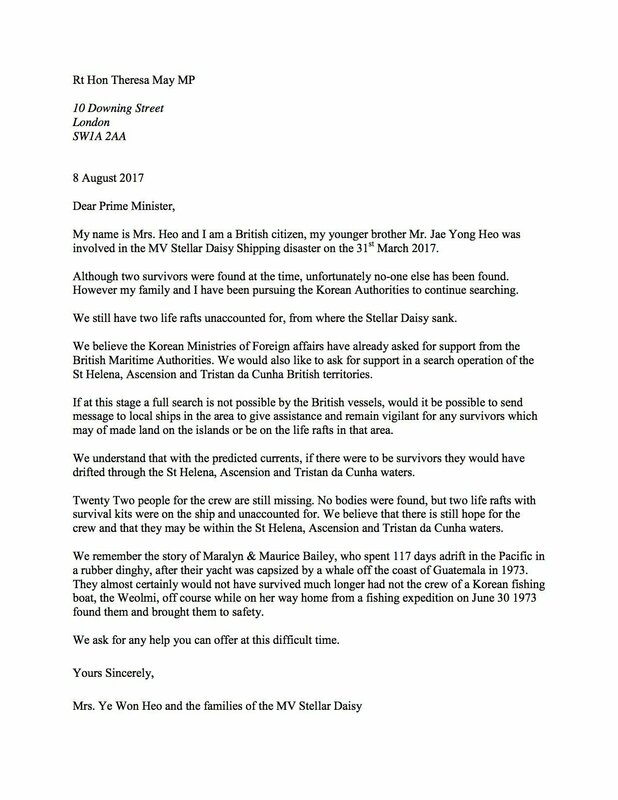 One of missing crew’s sister, Ye Won Heo, is a UK citizen and today she has sent a letter to the British prime minister asking for support in a search operation of the St Helena, Ascension and Tristan da Cunha territories in the South Atlantic as two liferaft remain unaccounted for. “We believe that there is still hope for the crew and that they may be within the St Helena, Ascension and Tristan da Cunha waters,” Heo wrote in the letter seen by Splash and published below. 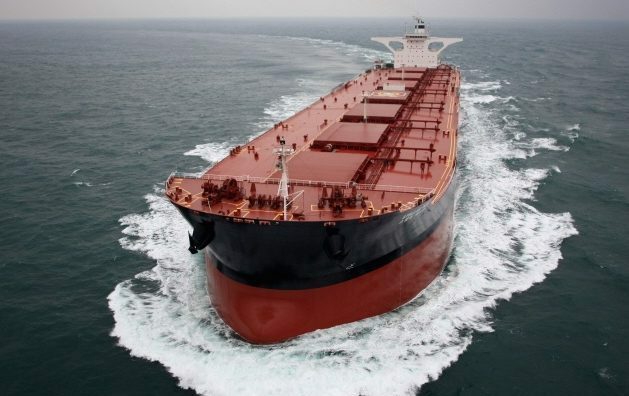 The official accident report into the Stellar Daisy – an elderly converted ore carrier – is still being compiled by the ship’s registry, the Marshall Islands.